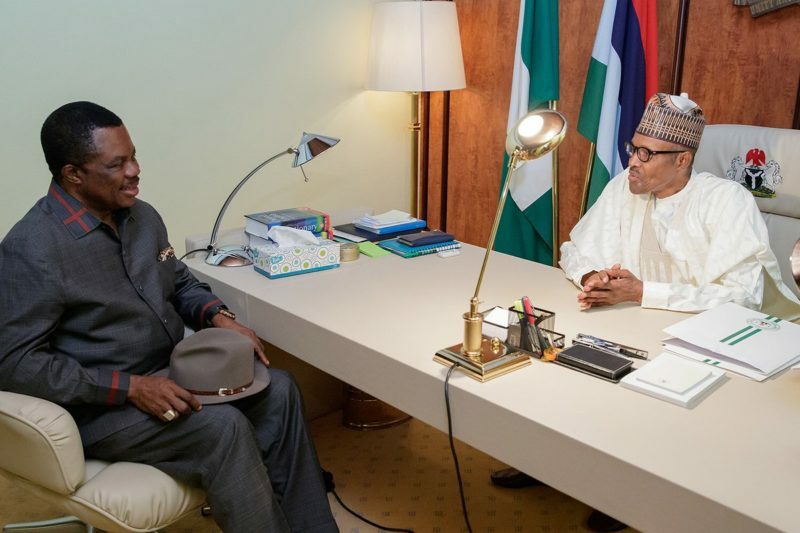 The Governor of Anambra State, Willie Obiano has disclosed what he discussed with President Muhammadu Buhari on Tuesday at the Presidential Villa in Abuja. Obiano said President Buhari likes governors like him (Buhari), who deliver dividends of democracy to their people. The President had promised governor Obiano of a free and fair governorship election in Anambra state come November 18. Addressing reporters after the meeting, Obiano said Buhari made it clear to him that he only wanted to make sure every governor was delivering to the people as expected. Obiano said, “He’s reassured free and fair election, that’s what should be important to me. “He likes governors like me. (Governors) who are hardworking, who are delivering on what people can see, who are bringing dividends of democracy to their people, that’s what the president wants. Governor Obiano added that his party, the All Progressives Grand Alliance, APGA, does not believe in rigging. “We do not believe in rigging, APGA has never rigged an election. All we want is for the umpires to be unbiased – free and fair election – and you will get the result,” he said.